Part 1- non-torrent. - 17 December 2008 - Jedi academy Mods: By Serenity. Main » 2008 » December » 17 » Part 1- non-torrent. As there were problems with torrents/ seeders lately, i decided to upload the files onto the other servers of depositfiles. There ya go, enjoy- this part has multiplayer! First part is corrupt, I think, maybe the rest too. Maybe You should upload on rapidshare or sendspace, smaller parts? 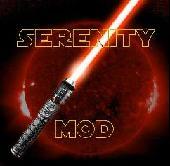 Serenity, thank you very much, for this magnifiscent mod, i personally think its 10/10 so people have proper sw mod now. Oh yes- hope to speak to you soon at some point.